When we covered Princess Marie Louise's Diamond Sunburst Brooch recently, some of you noted that Queen Elizabeth The Queen Mother had also worn it during a French state visit. Absolutely correct - and it wasn't the only unusual jewel selection made during that state visit. President Charles de Gaulle came to London for a state visit in April 1960. The Queen was just returning to public engagements after Prince Andrew's birth; Princess Margaret was recently engaged to Antony Armstrong-Jones. The state visit aimed to impress the French leader by pulling out every last bit of available pomp and circumstance, including an unusual stop on the Buckingham Palace balcony during the state dinner for fireworks and a wave to the crowds. 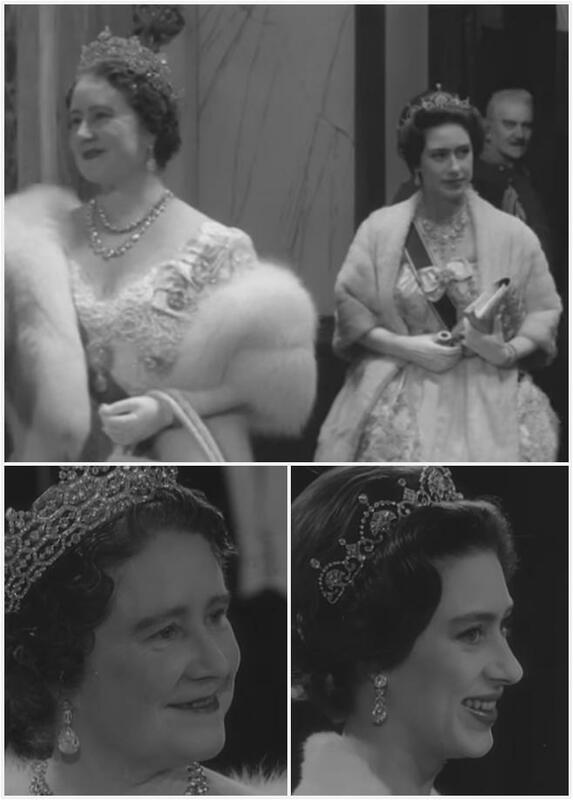 While The Queen wore favorite pieces - the Grand Duchess Vladimir Tiara and Queen Victoria's Golden Jubilee Necklace - The Queen Mother conveyed the importance of the visit by wearing her crown! Without the arches and cap, the crown made for the 1937 coronation becomes a terribly important circlet (she also wore it in this fashion at The Queen's coronation). As though that wasn't enough, all five strands of the Greville Festoon Necklace sparkled around her neck. 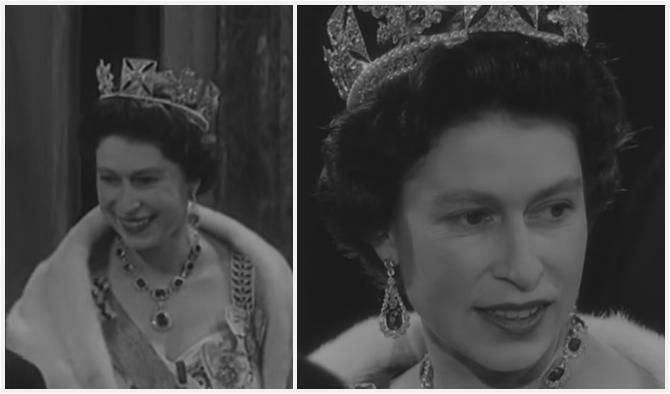 And we have here another classic pairing from Her Majesty: Queen Alexandra's Kokoshnik Tiara and the George VI Festoon Necklace. 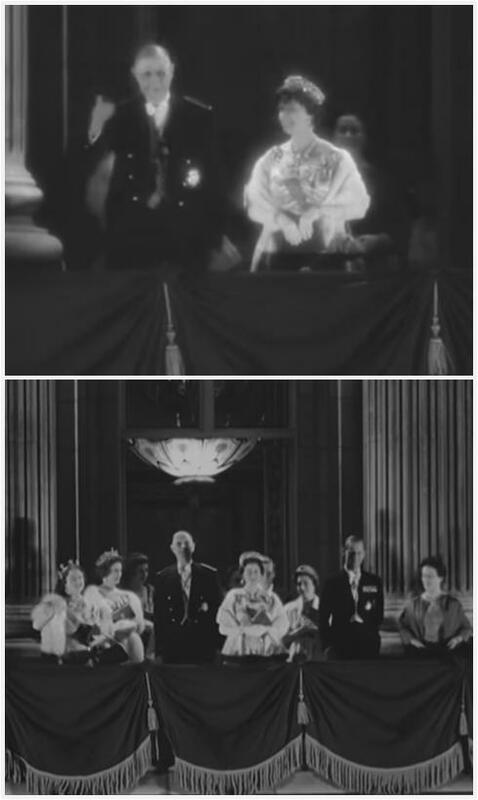 The last event was a tiara-filled gala ballet performance, where it was The Queen's turn to make an unusual selection. The George IV State Diadem, worn outside of the State Opening of Parliament and/or portrait sittings! And paired with the George VI Sapphire Suite and the True Lover's Knot Brooch. Magnificent. Continuing the splendor, The Queen Mother wore the Greville Tiara, the Greville Peardrop Earrings, a couple strands of diamond collets, and the aforementioned Diamond Sunburst Brooch. Note that not only is The Queen wearing France's Order of the Legion of Honour, so is The Queen Mother. She didn't wear too many foreign orders. Princess Margaret doubled up on her tiaras, which is never a bad strategy. She wore the Lotus Flower Tiara in her hair (it's showcased beautifully in the video below) and the Poltimore Tiara as a necklace. And so many more! There are additional royals and jewels to spot in the video above, so go ahead and bask in the splendor of this extra special state visit. It may have been the most significantly bejeweled of The Queen's reign.